Cornerstone Paving Ltd are a trusted, professional company with over 15 years experience in the paving and landscaping industries. We have built up a fantastic reputation in the local area by working closely with our customers to ensure they have peace of mind and are completely satisfied with the installations we provide. Most of our work comes from these customers who are pleased to recommend us onto their family, friends and neighbours. 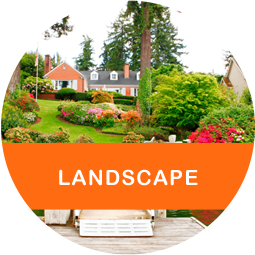 Our dedicated team are specialists in designing and installing stunning driveways and patios, drainage solutions and all kinds of landscaping services, see our individual pages for more information on what we do and how we can make the best out of your property. Always punctual. The job appears to be very thorough. Everyone very polite. The work on our drive was carried out efficiently, quickly and in paving to our liking. Very co-operative management and hard workers. I am very impressed with the way everyone worked to lay my drive. I am very happy with the work done by all the staff. First class workmen, punctual and polite. Did an excellent job. Nice slick job which was efficient and punctual. No hanging around. Efficient workers, very polite and hard working. Work looks good and well finished. Very satisfied, good planning, strong work ethic. Finished in super quick time. Delighted with the quality of the job from James and his team. They have all worked very hard to give us a perfect driveway. 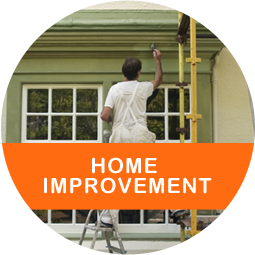 Overall good quality of work performed by skilled team of people. 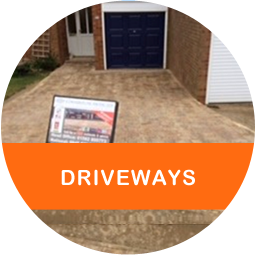 We also offer a full maintenance and repair service for existing driveways, patios, paving and tarmac. We do everything from levelling, resurfacing and resealing through to replacement blocks and tiles, to bring your existing driveway or patio back to life. We welcome enquiries, no matter how big or small, from both Domestic and Commercial customers. We are able to repair a small crack on a residential driveway through to major repairs on a public car park. Our office is based in Harrow and we cover a large area including Uxbridge, Ruislip, Hayes, Slough, Watford, St Albans, Hemel Hempstead, Potters Bar and all surrounding areas. At Cornerstone Paving Ltd, we pride ourselves in handling every project ourselves. It gives our customers peace of mind to know they can talk to us at any time about how their project is proceeding. Also, by not having to pay outside tradesmen, it keeps our costs down and any savings we make is always passed onto our customers so you can rest assured you will be given a fair and competitive price. From initial site visit through to the completion of the job, our team will ensure that each project is properly organized and efficiently completed to the highest standards. A full portfolio of our work is available on request showing you recently completed driveways, patios and landscaping in your local area. Our portfolio will also give you some ideas of our workmanship and excellent designs. 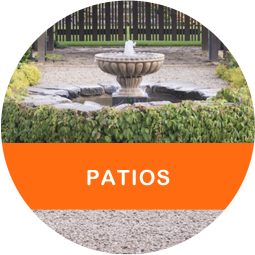 For friendly, professional advice on design, construction and maintenance of your outdoor space, call in the experts at Cornerstone Paving Ltd on 020 8485 8422.